Find here Millennium Hotels & Resorts coupons and deals. One of the best and biggest hotel chains around the world. 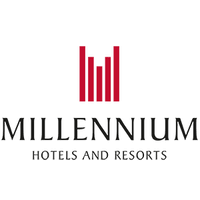 Millennium Hotels and Resorts was founded in 1989, on the vision of its Chairman, Kwek Leng Beng, who leads Singapore’s Hong Leong Group. 101 properties located in over 60 destinations worldwide. Updated promotional codes and offers. 101 products spread around the world.